How to transport 16 feet (2x10x16) lumber using a mid size pick up? Home /All DIY & Home Improvement/How to transport 16 feet (2x10x16) lumber using a mid size pick up? 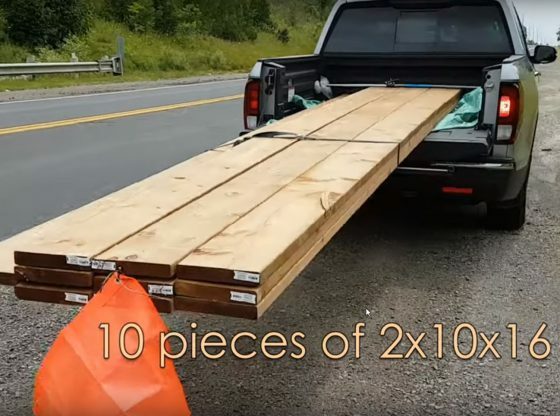 You won’t be able to transport 16 feet lumber (2x10x16) easily on any mid size pick up truck, because the bed isn’t long enough. Getting the collapsible hitch mount #BedExtender solved the problem! I will also show you using a fancy product #TitanStrap, it is very fast to tie down small amount of lumber. admin on DIY fix – Home Depot Installation Service Fail, Garage Door opener fell after 1 week!